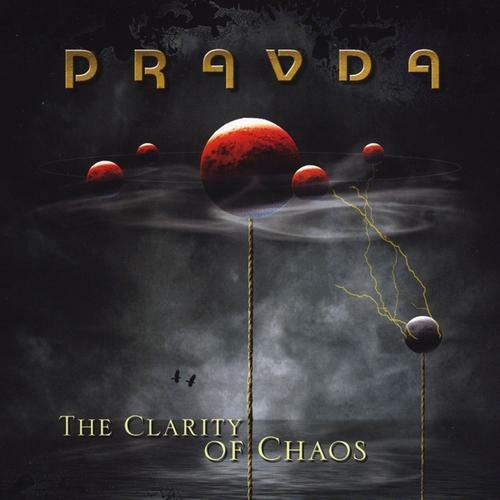 This Pravda (not to be confused with other bands by the same name) hails from Idaho, in the beautiful Pacific Northwest. The trio features keyboards, drums, and a guitarist doubling on bass, with all members sharing the vocal duties. On this, their fourth release in ten years, they prove themselves masters of the proggy-prog extended length multi-part suites, a modern take on that classic idiom with a sound that is their own, but some parallels could be drawn with contemporaries like Porcupine Tree, Dream Theater, and especially Spock's Beard due to the vocal and compositional approach they take. There are some jazz and eastern elements, along with some mid-70's Floydian moves infused here alongside the classic prog-rock and prog-metal styles that make up the core of their sound. The shortest of the album's six tracks clocks in at just over eight minutes, and the longest is the opener at fourteen (that's not counting the nineteen minute closer that's mostly annoying dead space - there should be a law against that! ), so the listener is in for a real treat if long involved pieces with numerous sections pegs your progmeter. The title track in particular is adventurous and edgy, always finding new twists and turns to keep it interesting over its twelve-plus minute duration, with some great lyrics and harmony vocal breaks to boot. There's a lot herein to recommend. Haven't You Dropped the Orange?